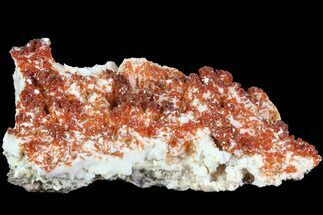 This is a beautiful specimen of ruby red vanadinite crystals on a bed of pink bladed barite and dolomite from Mibladen, Morocco. 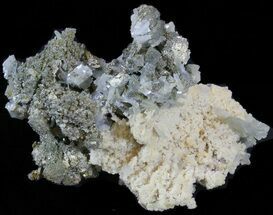 The specimen measures 4.6" at its longest point and comes with an acrylic display stand. 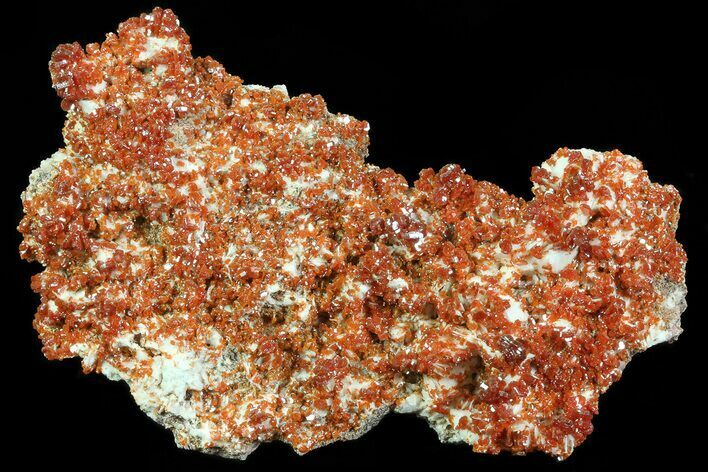 Very lustrous crystals. 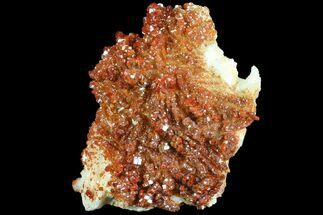 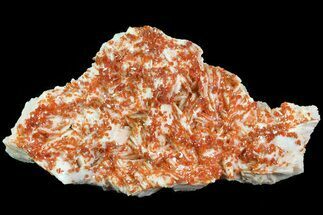 Vanadinite is a mineral belonging to the apatite group of phosphates, with the chemical formula Pb5(VO4)3Cl. 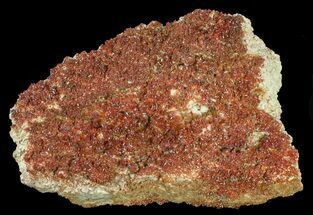 It is one of the main industrial ores of the metal vanadium and a minor source of lead. 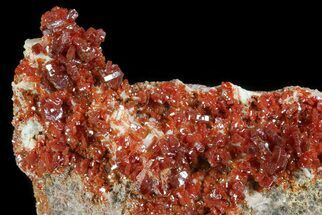 A dense, brittle mineral, it is usually found in the form of red hexagonal crystals.